February 17th, 2012. Coaches Across Continents is delighted to announce that Marisa Brown will head our Monitoring and Evaluation program in 2012. 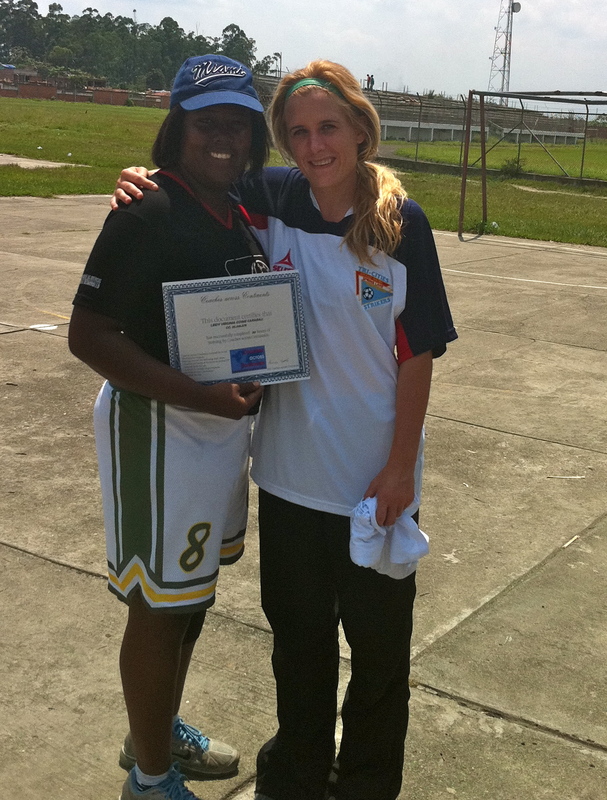 Marisa is fresh off 4 months with Coaches Across Continents in Ghana, Liberia, India and South Africa in 2011 and is in the middle of working ‘on the fields’ with our two partners in Colombia. She brings to Coaches Across Continents a wealth of soccer experience on and off the fields. She was a 4 year starter at University of Wisconsin and continued her career in Spain and Sweden. In 2009 she ran a soccer program in Paraguay and took her team to the Homeless World Cup in Brasil. the uniqueness of Coaches Across Continents and our ‘adaptable curriculum’ presents even greater challenges. Working with our WISER model, Marisa will develop and structure new data that measures the impact of Coaches Across Continents with our partner communities. Marisa will spend much of 2012 working with our community partner programs around the world to implement a 2 prong Monitoring and Evaluation system that will be used to assist the partners to build and improve their locally owned programs. “M & E is such an important part of our organization so we are delighted that Marisa has joined us. Her passion and experience in using Sport for Social Development make her a fantastic addition to our team.” Paul Baverstock, Coaches Across Continents Business Advisory Board. I’ve worked with Marisa on a professional level in Paraguay as the co-coach of the HWC team and I want to say congrats to CAC for absorbing the wealth of knowledge and experience she brings in this field. All the best to both parties and you couldn’t have made a better choice in a person to spear-head your M & E.